We will inform you whenever they are going to have a concert in Istanbul. Sabéis dónde se pueden comprar las entradas? No sé si lo organizáis vosotros. Me gustaría hablar con Siamak Jahangiri. Sabéis si habrá algún taller de ney? Se puede adquirir las entradas a través de nuestro website. Para las 3 priemras filas hay que llamar a 913600202. Could you please tell me where in Madrid the concert will be? In the Teatro Infanta Isabel, Calle Barquillo 24. When are they coming to Norway? And how can we buy tickets for the event? for me, the concert in Frankfurt would be ideal. Where can I get tickets? Couldn’t find any hint in the web. Hi Rudi. Now you can find the information for Frankfurt´s concert in this page. 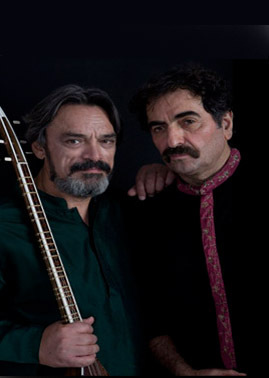 Click in More information and there you can see all details of Shahram Nazeri´s European Tour 2011 with concerts Schedule and related links. Please inform also your interested friends of this page. As people say, this is the most complete page about this Tour in the Net.